Snypa & Street Money Boochie Connect For "Nightmare On 88 Street"
Home>New Mixtapes>Snypa Mixtapes> Snypa & Street Money Boochie Connect For "Nightmare On 88 Street"
A new collaborative tape from two rising Atlanta rappers. Atlanta rappers Snypa and Street Money Bochie have come together to release the joint project Nightmare On 88 Street. The 7-track project features Tizzle 125 and D-Day, as well as production from Kid 808 and Notus Beatz. The project is also available for purchase and stream across all major platforms here. Let us know what you think of the new tape in the comments below. Denmark Vessey Taps Earl Sweatshirt For Hazy Journey On "Sun Go Nova"
Slum Village Opens Treasure Box With "The Lost Scrolls Vol. 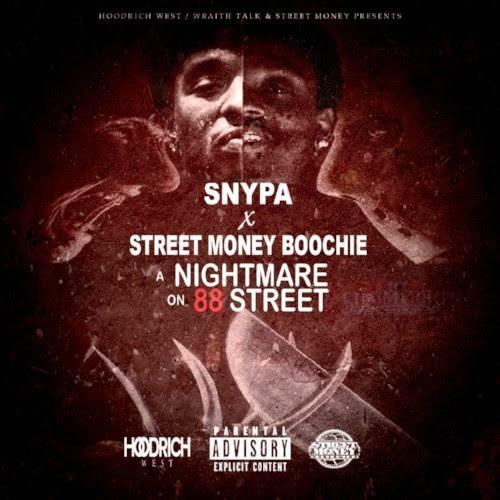 2"
MIXTAPES Snypa & Street Money Boochie Connect For "Nightmare On 88 Street"